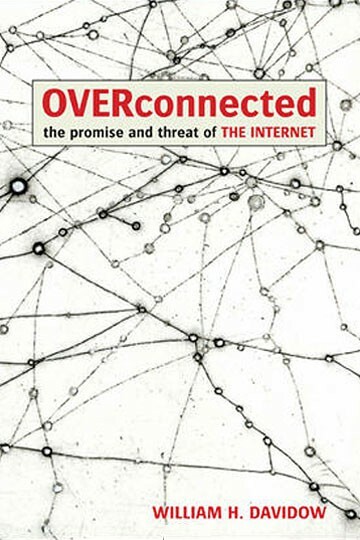 In OVERCONNECTED, Bill Davidow, a former Silicon Valley executive, explains how the almost miraculous success of the Internet has also created a unique set of hazards, in effect overconnecting us, with the direst of consequences. The practical applications of this new medium—not least among them the ability to borrow money, invest in the stock market, or buy a new home—have made it a force unequaled in scope or impact in our daily lives. But the luxuries of the connected age have taken on a momentum all of their own, ultimately becoming the root cause of the recent financial meltdown from which the world is now still struggling to recover. By meticulously and counter-intuitively anatomizing how being overconnected tends to create systems of positive feedback that have largely negative consequences, Davidow explains everything from the recent subprime mortgage crisis to the meltdown of Iceland, from the loss of people’s privacy to the spectacular fall of the stock market that forced the Federal Government to rescue institutions supposedly “too big to fail.” All because we were so miraculously wired together. Explaining how such symptoms of Internet connection as unforeseeable accidents and how thought contagions acted to accelerate the downfall and make us permanently vulnerable to catastrophe, Davidow places our recent experience in historical perspective and offers a set of practical steps to minimize similar disasters in the future. Original, commonsensical and historically informed, OVERCONNECTED identifies problems we live with that are now so large, omnipresent and part of our daily lives that few people have even noticed them. Bill Davidow has been a high-technology industry executive and a venture investor for more than 30 years, having worked at managerial positions at Intel Corp., Hewlett Packard and General Electric. He is now an active advisor to Mohr Davidow Ventures, a venture capital firm. An electrical engineer by training, he has earned degrees at Dartmouth College, the California Institute of Technology and Stanford University and is the author of Marketing High Technology and a co-author of Total Customer Service and The Virtual Corporation.